Autonomous self-driving cars are set to take off but they are less likely to be driven by private owners and will in all probability be part of networks operated by ride-hailing services, according to Lyft's view of the future of transportation. The ride-hailing company expects that Lyft rides in the robot cars will outstrip those in cars driven by human drivers within the next five years in the U.S, according to John Zimmer, its co-founder and president. Ride-hailing companies, car makers and tech firms are eyeing autonomous cars as the next big opportunity. Uber Technologies tested its ride-hailing autonomous cars on the streets of Pittsburgh, Pennsylvania recently, with a driver ready to step in during an emergency. Lyft says it is testing an on-demand network of autonomous vehicles in Phoenix and San Francisco in partnership with General Motors, which in January also invested US$500 million in Lyft. The forecast by Zimmer may appear a trifle optimistic in some places and may not reflect the views of others in the industry. Zimmer disagrees, for example, with Elon Musk, CEO of Tesla, who has written about a model where autonomous car owners generate income from their vehicles while at work or on vacation by renting cars through a Tesla shared fleet. Musk's model will not scale because individual car owners won't want to rent their cars to strangers, Zimmer wrote. More and more people are coming to the conclusion every year that it is simpler and more affordable not to own a car, wrote Zimmer in a post on Medium on Sunday. “When networked autonomous vehicles come onto the scene, below the cost of car ownership, most city-dwellers will stop using a personal car altogether,” he forecast. The first two revolutions were ushered in by canals and the railroad, and the assembly line automobile, respectively, he said. Once autonomous networks provide better service at a lower cost , the country will pass a tipping point, according to Zimmer. “And by 2025, owning a car will go the way of the DVD. Until then, over the next five to 10 years there will be both driver and driverless cars on the road, which we call a hybrid network,” he added. Drivers may not have to worry about their jobs, even as autonomous cars improve and start driving themselves. In the first five or more years following the introduction of autonomous vehicles, the need for human drivers will actually increase, not decrease, wrote Zimmer. 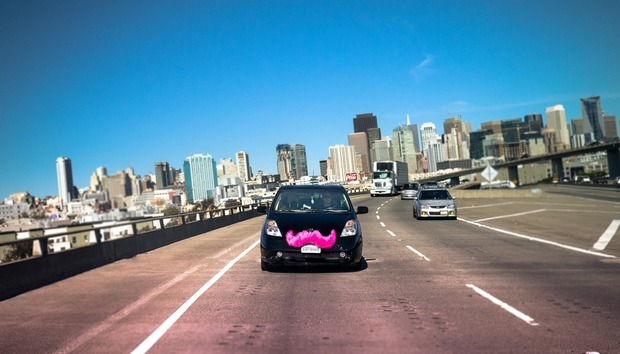 “As more people trade their keys for Lyft, the overall market will grow dramatically. When autonomous cars can only solve a portion of those trips, more Lyft drivers will be needed to provide service to the growing market of former car owners,” according to Zimmer. « What's difference between project management and change management?